Pro Weld is a leading manufacturer and distributor of wrought iron, cast iron and aluminum components. We offer an extensive line of products that are manufactured on-site, and build railings for indoor and outdoor applications Including gates, fences, window grills, balconies, steel canopies and other ornamental accessories. 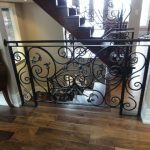 We will either design your custom built railings, or bring your own design to life. 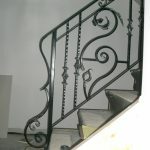 Our railings can be made of steel aluminum or stainless steel. Our in-house production allows us to provide North American customers and distributors with quick delivery. We are committed to providing the highest quality products, and can customize your orders to fit your needs precisely. Whether you are an architect, contractor or home owner, you can rely on Pro Weld’s high quality and competitive prices.